Capital expenditures are integral to the operations of most manufacturing companies, which must regularly upgrade physical assets or acquire new ones in order to remain competitive. These assets may include machinery and equipment, plant and property, and industrial buildings and warehouses. Investments like these, of course, can be expensive, which makes strategic CAPEX planning critical for most manufacturers. Without a detailed, long-range plan for allocating their CAPEX budgets, manufacturers can get caught in a squeeze—needing new equipment, for example, but not having a blueprint in place for how they will acquire, use and pay for it. § What specific physical assets will be bought and when they will be purchased. § The specific uses of these assets. § The benefits to be incurred from acquiring the assets. § The expected ROI and/or payback period for the assets. Since the recession took hold several years ago, this has been a primary objective for most manufacturers. Upgrading machinery and equipment is often the best way to lower operating costs, increase efficiency and boost profits—without having to raise prices. Automation equipment, in particular, is especially popular in many manufacturing segments, since it enables companies to lower labor costs and increase overall employee productivity. Rather than lay these employees off, forward-thinking manufacturers are retraining and reassigning them into new tasks that have a more direct impact on the bottom line. All physical assets break down or become obsolete eventually, regardless of how well they are maintained. This is especially true of IT equipment and computers, which depending on the industry, may have a useful life of two years or less. A strategic CAPEX plan will anticipate which assets will wear out or become obsolete and when, and it will prioritize upgrades or replacement based on the assets’ cost and importance to the business. The plan should also specify how replacement assets will be paid for. If financed internally, budgeting should start now. If financed externally, discussions should be planned with bankers or other potential financing sources before the old assets need replacing. Often, manufacturers are informed by their existing customers that they must buy new equipment or machinery in order to accommodate changes in a product’s design or other specifications. The manufacturer must then decide whether to make the CAPEX investment if the customer’s volume and profit margins justify it, or be willing to say goodbye to the customer. Or, a company might have an opportunity to manufacture new products for an existing customer that requires upgraded or new machinery and equipment. Operating in competitive markets and on thin profit margins, manufacturers should look for any and all opportunities to gain an advantage over their competitors. A CAPEX budget presents an opportunity to do just this by strategically planning future investments in new state-of-the-art machinery and equipment that will enable them to gain a competitive advantage by adding capacity, improving quality and/or enhancing innovation. Of course, return on investment should be a critical component of your strategic CAPEX plan. ROI estimates should be based on projected margin improvements, sales growth or cost savings, or a combination of two or more of these factors. Meanwhile, a payback period of 18-36 months is a good benchmark for most manufacturing CAPEX. A strategic CAPEX plan can be a valuable business planning and growth tool for Los Angeles and Southern California CEOs and CFOs. 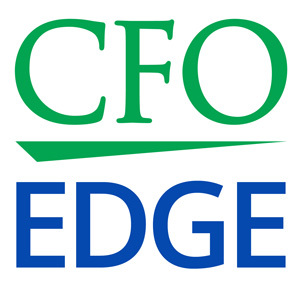 One source for assistance in creating a strategic CAPEX plan is an outsourced CFO services provider. Such a provider will bring expertise in all aspects of CAPEX planning, helping manufacturing companies chart a strategic course for future success.